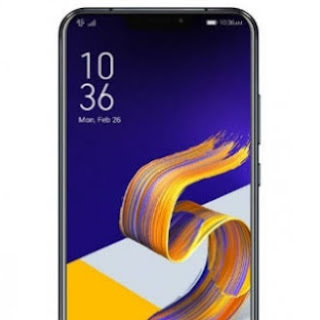 ASUS has launched its new Flagship Redefined Smartphone, Zenfone 5z which has Snapdragon 845 processor with AI Engine & the price starts from Rs.29,999. It has a Qualcomm Snapdragon 845 with AI Engine & IMX363 Sony Sensor with Large 1.4 micro meter of pixel size. It also consist Immersive Stereo Speakers with Dual NXP SmartAmp. It has also 6.2"(15.7cms) of FHD+ Display with 90% of Screen to Body ratio & 2.5D Corning Gorilla Glass. * Up to 256GB (UFS 2.1) Storage. * It has also a graphics of Adreno 630. * It consist Multi-Core AI Engine with 10nm CPU Fabrication & Kryo 385 Octa-Core CPU. It has 12MP Sony IMX363 Flagship Sensor with f/1.8 aperture & 1.4 micro meter of pixel size. it has also 0.03s dual pixel PDAF with OIS & EIS. It consist RGB color correction sensor with RAW file support & 4K/UHD video recording. It has also a night HDR mode. The AI cameras has also 16 scene detection mode. The front camera consist 8MP with f/2.0 aperture & EIS support. It has 3300mAh of high capacity battery with Quickcharge 3.0 fast charging & 13.5 hours HD video playback. It has also 25.5 hours of 3G talktime and 14 hours Wi-Fi browsing. It consists Dual 5-magnet speakers with dual smart AMP & audio Wizard. It has also a bluetooth 5.0 fast connectivity & it supports Dual VoLTE connections.